Choerospondias axillaris, a large, deciduous and subtropical fruit tree has been recognized as a potential agroforestry tree for income generation for subsistence farmers in Nepal. 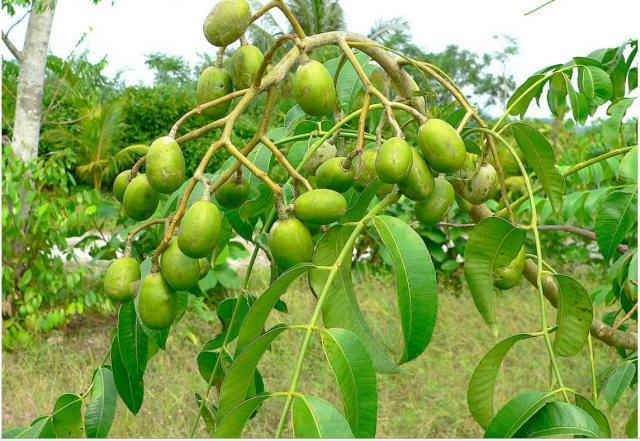 The tree, locally called ‘lapsi’, , produces fruits with high vitamin C content, which are consumed fresh, pickled and processed for preparing varieties of sweet and sour, tasty food products that are marketed locally and have potentials for exporting. A total of 301 Village Development Committees in 29 hill districts have reported cultivation and protection of Lapsi trees for some socio-economic purpose. Lapsi was grown from east to west Nepal from 850 m to 1900 masl. Distribution of Lapsi has been found in much wider areas in the country than reported earlier. Over 40,000 trees are at fruit bearing stage and more than 450,000 new trees are planted in various districts of Nepal. Fig. : Lapsi tree with their fruits cultivated at Champadevi Hill of Kirtipur, Kathmandu, Nepal.